My sister handed me a stack of old Martha Stewart magazines and I discovered this little gem. 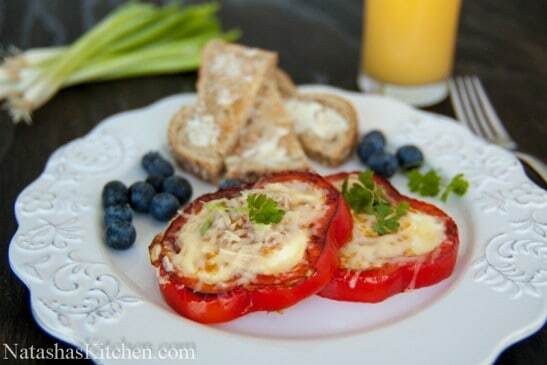 The bell pepper adds gorgeous color and a very healthy veggie to your morning. Did I mention it’s really easy? 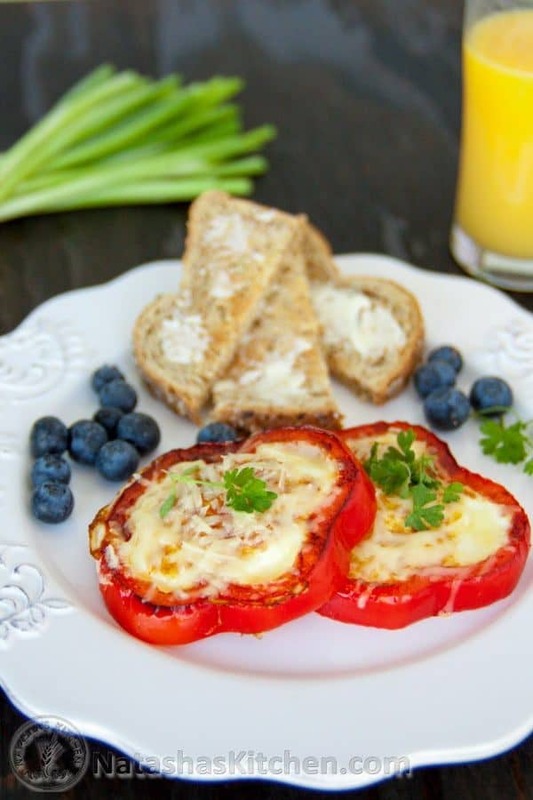 You’ll definitely impress your family and breakfast guests with this bell pepper egg-in-a-hole. Thank you Martha! Serve the eggs-in-a-hole with buttered toast. English muffins are nice too. 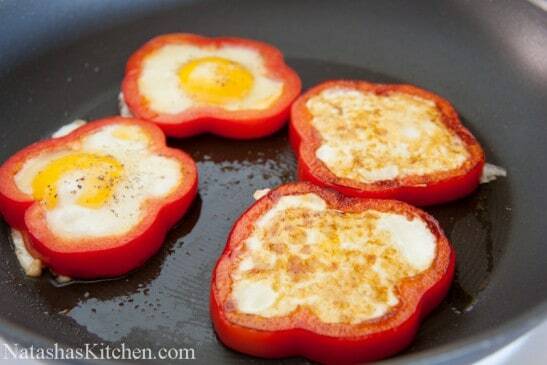 You can cook the eggs to the doneness you prefer. 1. In a large, non-stick skillet, heat 1 Tbsp olive oil over medium/high heat. 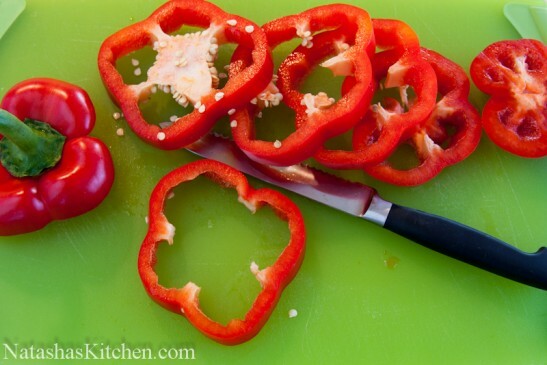 Cut peppers into 1/2″ rings and remove the seeds and centers. 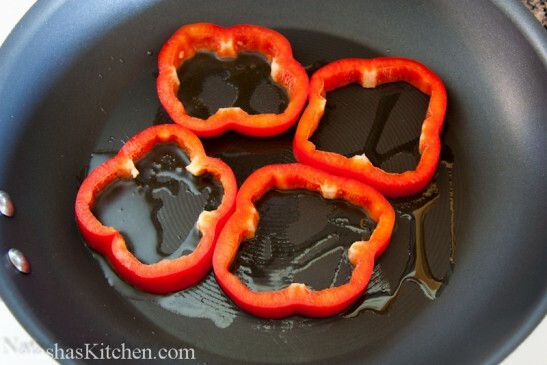 Place sliced peppers into the pan and let them saute for a minute. 2. 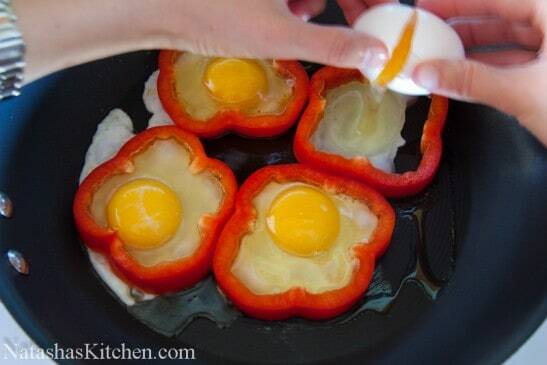 Crack one egg into the center of each bell pepper slice. Start pouring the egg in slowly; it prevents the egg from leaking and forms a nice seal, but some will leak no matter what; don’t fuss over it; it will still taste great! 3. 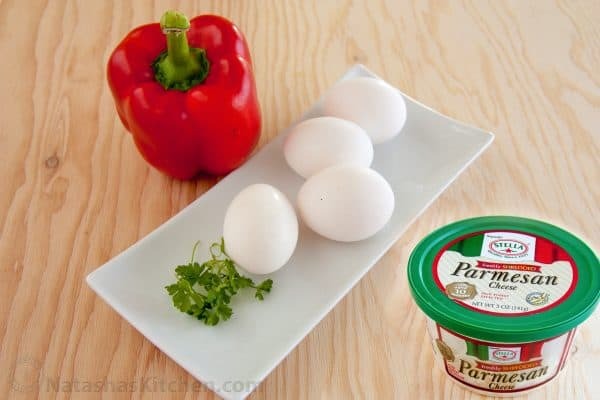 Sprinkle salt and pepper over each egg. Saute for 3 minutes, then flip it over carefully. 4. Top with a generous amount of parmesan. If you want your yolks to be juicy (over easy), cook another minute. P.S. 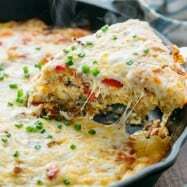 As a (almost licensed) nurse, I feel compelled to say that eggs should be fully cooked for high risk populations including elderly, pregnant and young children. In a large, non-stick skillet, heat 1 Tbsp olive oil over medium/high heat. Cut peppers into 1/2" rings and remove the seeds and centers. 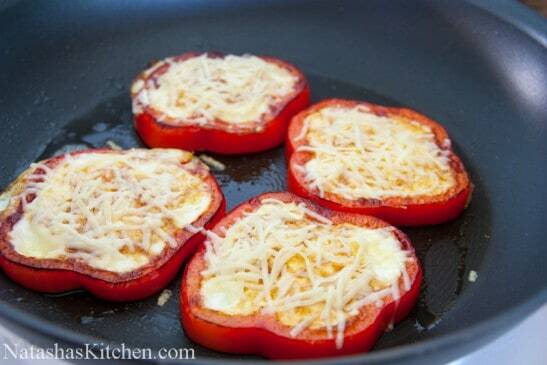 Place sliced peppers into the pan and let them saute for a minute. 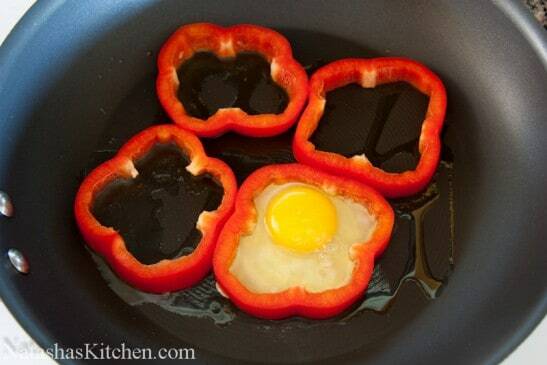 Crack one egg into the center of each bell pepper slice. Start pouring the egg in slowly; it prevents the egg from leaking and forms a nice seal. 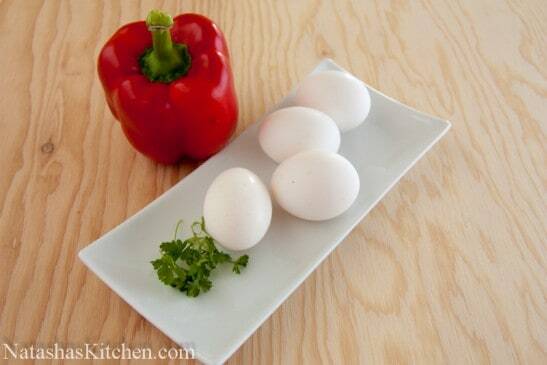 Sprinkle salt and pepper over each egg. Saute for 3 minutes, then flip it over carefully. 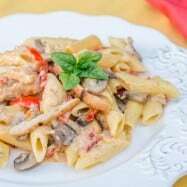 Top with a generous amount of Parmesan cheese. If you want your yolks to be juicy (over easy), cook another minute. 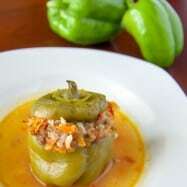 Made these the other day, with green and orange bell peppers. The orange were sweeter and I loved it! Also added some baby spinach to it and it tasted amazing! The entire family enjoyed it as well and were asking for lots more!! Sorry, I forgot to mention that I used yellow bell pepper. It was really fun to eat and my 2 year old was pretty excited over it, so I can see how it can be a hit with the kids. Hay I was just on Facebook and Incredible Edible Egg people posted a link to a page with “31 Eggs in exiting holes” Guess what pic was number 5? 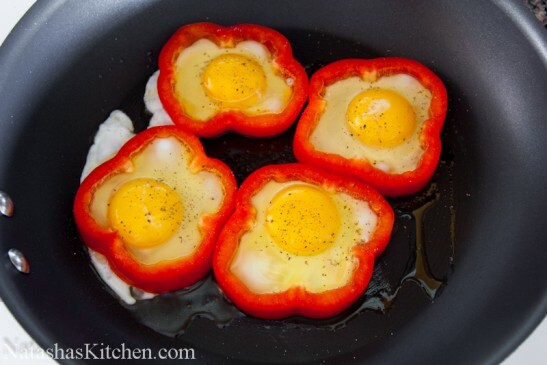 Your bell pepper egg-in-a-hole!! I was scrolling down and I recognized the pic. I though that was really cool and wanted to let you know just in case you were not aware. 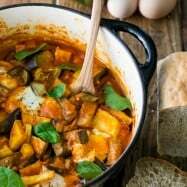 Keep up the good work 🙂 I love trying out your recipes. 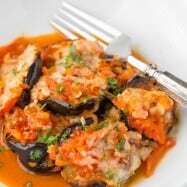 Thank you so much for all the delicious recipes you posted so far. I find myself always looking forward to see your next posting :). 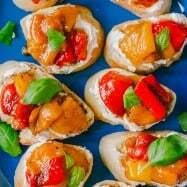 I do that with bread, but never with peppers.